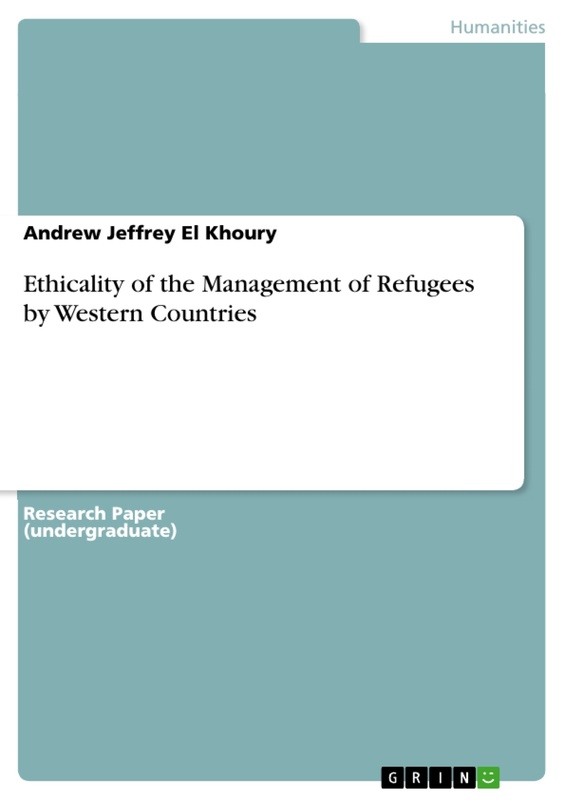 This report discusses the different approaches of analysis on the ethical dimensions of the management of refugees by Western countries. More specifically, it examines the unstable situation of some of the Middle Eastern countries, and the effect it has on the population in the area. This paper will also bring forth the actions undertaken by Western countries to handle the current circumstances. This ethical dilemma is significant as it has several substantial impacts on human rights, international economics and politics. 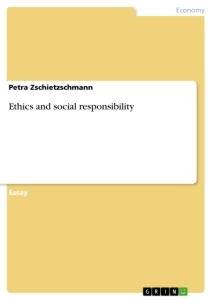 The author will use a variety of ethical theories to analyses the dilemma, such as: Egoism, Utilitarianism, Ethics of Duty, Ethics of Rights & Justice, and other perspectives on ethical theories. To conclude the author will take a stance and justify his position on the ethicality of the existing processes to manage the flow of refugees. It is first important to distinguish between two concepts: the term ‘refugee’, which means anyone who is forced to flee his or her country due to persecution, war or violence (BC 2014). On the other hand, a ‘migrant’ is a person who moves from one place to another in order to find work or better living conditions (Dictionary 2016). In 2016, about 87 million people from the four MENA countries have been directly affected by war. The statistics are startling: about 13.5 million people need humanitarian aid in Syria; in Yemen, 21.1 million; in Libya, 2.4 million; and in Iraq, 8.2 million. The conflicts in Syria have affected not just neighboring governments but their citizens, too, with average per capita incomes estimated to be 1.5% lower now than they would have been (without Syria’s turmoil) for many Turks, Egyptians, and Jordanians, and by 1.1% for many Lebanese (World bank 2016). The crisis in Syria continued to trigger unprecedented levels of displacement. At the end of 2015, more than 6.5 million Syrians were internally displaced, and 4.6 million sought refuge in Egypt, Iraq, Jordan, Lebanon and Turkey. Despite the continued generosity of host countries and donors, Syrian refugees faced increasingly difficult living conditions after more than five years in exile, with many falling further into poverty. Meanwhile, host governments battled economic and security challenges as a result of the conflict (UNHCR 2016). This unfavourable situation has led thousands of people seeking refuge in more stable countries such as in Europe. Tensions in the EU have been rising because of the disproportionate burden faced by some countries, particularly the countries where the majority of migrants have been arriving: Greece, Italy and Hungary. In September, EU ministers voted by a majority to relocate 160,000 refugees EU-wide, but for now the plan will only apply to those who are in Italy and Greece. The UK will accept up to 20,000 refugees from Syria over the next five years (BBC 2016). Recently, the U.S. Secretary of State pledged to increase the number of refugees (from the entire world) it takes in from 70,000 to 100,000 a year (Stanford 2015). This data suggests that the European countries have some sort of management structure in place, however the flow of new refugees far outweighs the number of refugees accommodated. Despite that, refugees faced increasingly difficult living conditions after more than five years in exile, with many falling further into poverty. Meanwhile, host governments battled economic and security challenges as a result of the conflict (UNHCR 2016). Several Western countries and other European countries have decided against accommodating refugees or let in extremely low levels of people. As mentioned before, the UK intends to lodge only 20,000 refugees over the next 5 years. Hungary has refused to house refugees, however it was imposed a quota of 1,294 people. This shows a clear conflict between nations on how to deal with the situation, which creates an uncertain and volatile environment. 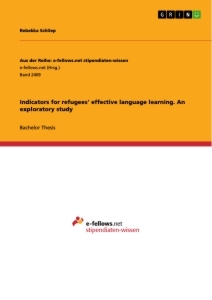 Many ethical perspectives support the limitation of refugee inflow into western countries. ‘Egoism’ is defined as an action that is morally right if the decision maker freely decides in order to pursue either their short-term desires or their long-term interests (Matten, C. 2010). Thus according to that principal, Western governments’ resistance to accommodate refugees, is morally right because they decide to pursue national long-term interests, such as economic conditions and stability. Some Eastern European countries are opposing the refugee scheme for two reasons: because they said refugee admissions should be a sovereign national decision; and because many of their voters are virulently opposed to Muslim immigration. Britain is exempt due to its historic opt-out on justice matters (Telegraph 2016). These reasons can be supported by Utilitarianism, which defines as: an action is morally right if it results in the greatest amount of good for the greatest amount of people affected by the action (Matten, C. 2010). Therefore, countries that oppose the integration of refugees might suggest that maintaining the economic, social and political conditions of the nation’s people results in the greatest amount of good & satisfaction for the greatest amount of people affected by the action. Nevertheless, some experts on ethics argue that this type of thinking is too rational especially as we are dealing with human beings after all. 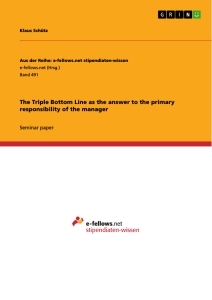 Jurgen Habermas (1996) proposes a multi-dimensional conception of reason that expresses itself in different forms of cognitive validity: not only in truth claims about the empirical world, but also in rightness claims about the kind of treatment we owe each other as persons, authenticity claims about the good life, and so on (Stanford 2014). Consequently, according to Habermas, governments should approach the issue through rational reflection on the real life experience of anyone involved, and consider the horrifying experiences that these refugees have suffered. We then ask: is the satisfaction and happiness of the nation’s people more worth than the simple basic human rights of thousands of people, that experienced terrifying situations and prosecutions, thus had to try to find areas for refuge, even though most of them did not want to leave their home country? In conformity with ‘Postmodern ethics’, the answer would be a categorical ‘no’. Postmodern ethics locates morality beyond the sphere of rationality in an emotional ‘moral impulse’ towards others. It encourages individual actors to question everyday practices and rules, and to listen to their emotions and inner convictions, about what they think is right and wrong in a particular situation (Matten, C. 2010). Thus, as emotional beings, we have to put aside rational priorities such as favourable economic conditions, and prioritize on providing those less fortunate refugees with basic human rights (The right to life, asylum, social security, etc.…). 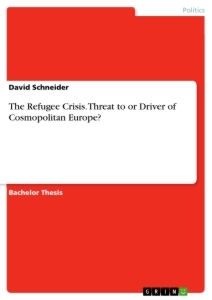 Postmodern ethics insist that to tackle any dilemma, you have to approach it in a more humanitarian perspective. There are three main pillars in that perspective: First humanity, that states that human suffering must be addressed wherever it is found. The purpose of humanitarian action is to protect life & health, and ensure respect for human beings (Unocha 2012). The second pillar is neutrality, which insists on not taking sides in hostility. Third is impartiality that emphasizes that action must be carried out on the basis of need, giving priority to the most urgent cases of distress and making no distinctions on the basis of race or religious, etc. (Unocha 2012). The refugees coming from the Middle Eastern war torn countries fit all three pillars. Therefore there should be a global response (not just European Countries) to manage and accommodate these people. There should be an international consensus agreement on a coordinated comprehensive plan of action. However what we are currently experiencing is tremendous inconsistencies in the actions taken towards that humanitarian crisis. What surprises me the most, is that countries that somewhat are at cause with the sectarian conflict in the region such as the USA, Saudi Arabia and Iran to name a few, are the ones that are doing the least in assisting those refugees. In consequence, the current management of refugees by the so-called ‘developed states’ is not close to be ethical. Some, countries such as the UK, are arguing over a couple of thousands of refugees. When there are countries like Lebanon, which is a country that is not strong economically and has a population of 5 Million, is currently accommodating between 1 and 1.5 Million refugees. That shows the burden that Lebanon and other countries around that area bear. Thus, the international community has to put aside rational objectives, and focus on humanitarian values and help those refugees in need.